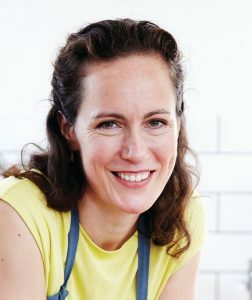 Nichole is an American chef who has lived in Copenhagen, Denmark for over a decade. She recently moved back to the States, has just opened her Scandinavian-inspired eatery, Kantine. Nichole attended culinary school in New York, and spent several years cooking alongside some of the most talented chefs in Boston before heading to Copenhagen. Originally, Nichole’s trip to Denmark was only meant to last a year, but she fell in love with the Danish culture, and her year abroad eventually turned into fifteen. Nichole calls San Francisco home now, but her passion for and experience with Scandinavian cuisines are still very much intact. Nichole’s food is simple and clean, with flavors and textures that accentuate the ingredients.